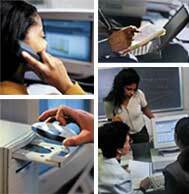 PETRO-GEOTECH INC. is a consulting and software development company located in Calgary, Alberta, Canada. We have years of experiences in reservoir geomechanics, most notably in unconventional oil and gas such as CHOPS and SAGD simulations in heavy oil production, research, simulations and designs in tight gas, shale gas and CBM, and also on solving geomechanics problems such as sand predictions and 3D MEM wellbore stability,SRV evaluations, staged fracture designs, and fracture propagation simulation by FE methods. Simulation in unconventional reservoirs: naturally fractured, CBM, shale gas, heavy oil. Hydraulic fracture in HDR for EGS. Well bore Stability Design/Analysis particularly in deviated and horizontal wells through poorly consolidated reservoirs and the troubled shale formations. Sand control, sand management and sand rate prediction CHOPS. Managed Pressure Drilling (MPD) under balanced drilling design. Artificial lifting design in heavy oil and unconventional gas. Pumping system filtering and designs. 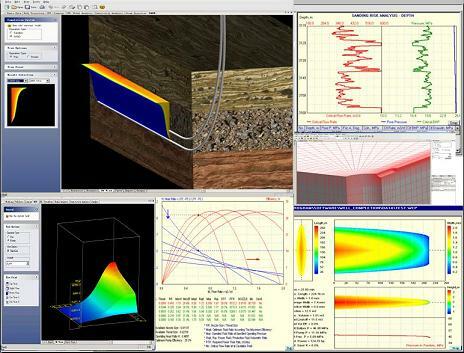 We provide customized, efficient software simulating drilling, production and reservoir simulations.